Looking forward to showing February the door and welcoming March in. I read someplace that Florida and Hawaii were the only 2 US states that did not get snow this winter. And the bitter cold...that is the hard part. Pipes are freezing, cars won't work, mind and body doesn't want to work. Time for some flowers and bird songs. Here are some of the latest SRS studio treasures. All three sets of these pillows are made from vintage 1950's textiles. Have a stupendous day. Be sure to tell someone how special they truly are. PS: Be sure to stop by my Facebook page and join us. I always feel so fresh and alive at the beginning of a new year or a new season. It is a chance to start again, to it right this time, to try something new. 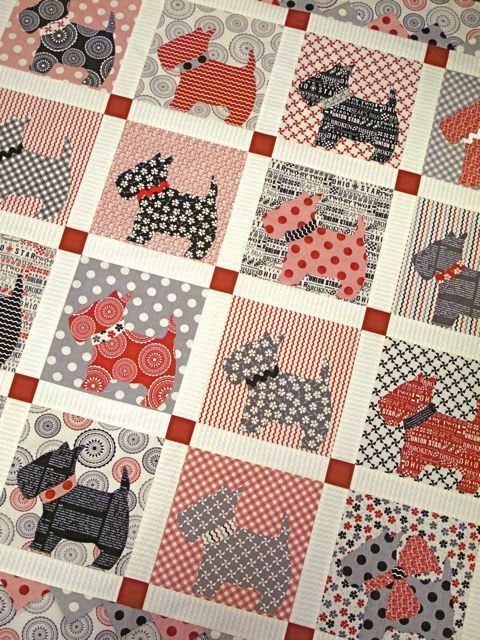 Well, I have decided that I need to be a good Grammy and make my grandchildren lap size quilts this year. Nothing fancy, just some old fashioned patterns with colors that represent their personalities. Good year long project. 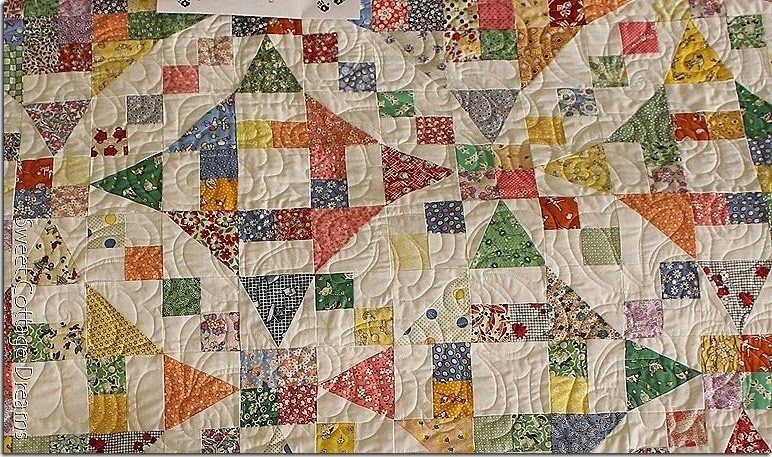 And though my heart is always based in the old fashioned basics, I will not be hand quilting these. 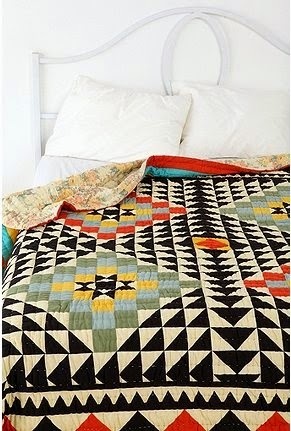 I will be using the quilt as you go method. 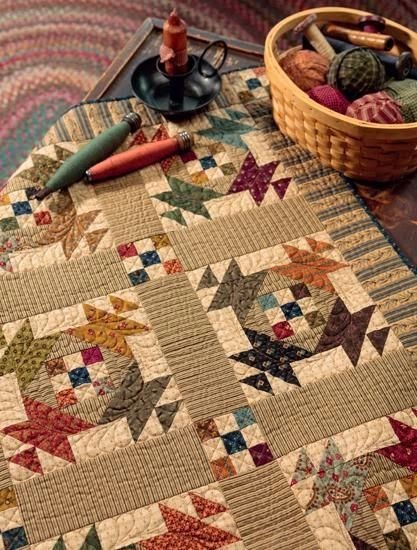 This is where you quilt your blocks or rows individually, then sew them together. I am hoping this will make things go quicker and more smoothly. You see I have 4 quilts to make. This is besides the sewing business and two Etsy shops. Whew, I am going to be a busy gal. But, I am really looking forward to being able to give them something to treasure. Kids these days don't understand how important it is to have pieces of your family history to cherish. They are too busy with their noses in their electronics. I just feel the need to keep some of out past skills alive and hopefully pass them on. 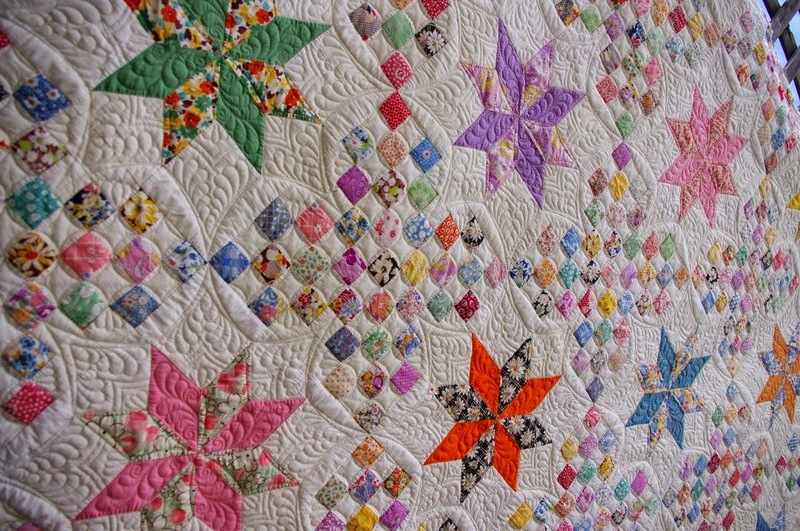 Here are some pictures I gathered of quilts that touch my soul. My wish is that the ones I make this year touch someone else's soul. Fill Each Day With Joy!